For cat training, It’s best to train kittens early in life to use a scratching post instead of your favorite furniture!! 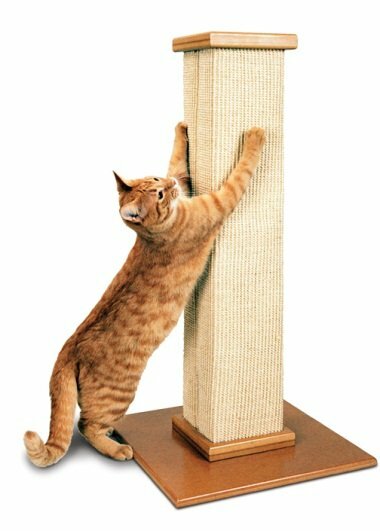 Cat scratching is kitty exercise, it stretches and pulls the muscles in the front part of the body and great for nail health, helping to shed the old outer nail layers. Scratching is a natural instinct and cats use it to mark their territory by leaving their scent through the glands in their paws.